"I have many problems in my life but my lips do not know them-they always smile." 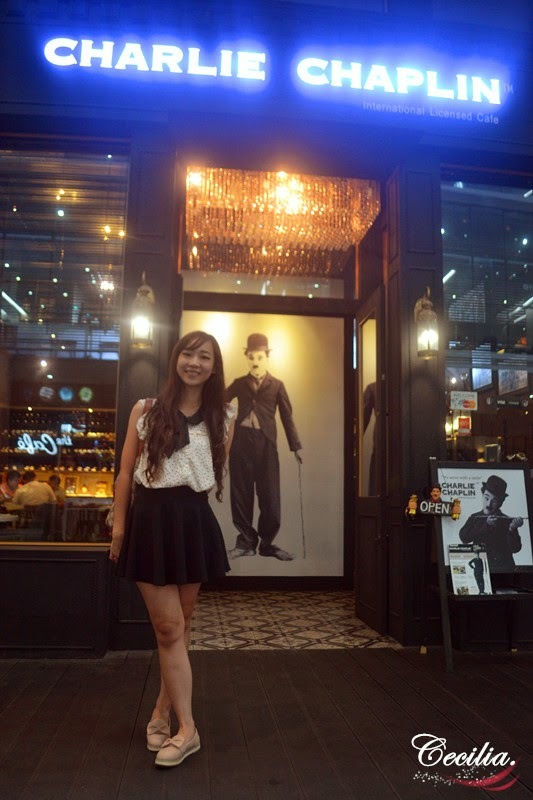 Charlie Chaplin Malaysia is the first international licensed cafe in Malaysia where launched on September 2013. 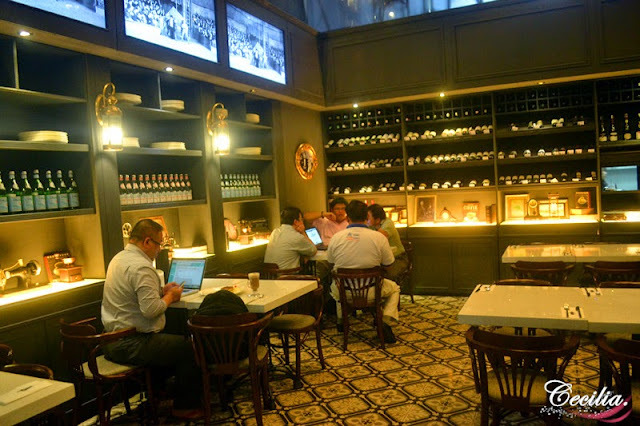 The cafe is located in the One City Mall, which is the newest shoping mall in USJ with the famous transparent view of glass celling in Skypark at 10th floor. Charlie Chaplin is the most important figures in the filming history where he contributed for more than 75 years in the film industry. "The Tramp" make himself as a worldwide icon since he was rose to fame through his screen persona. 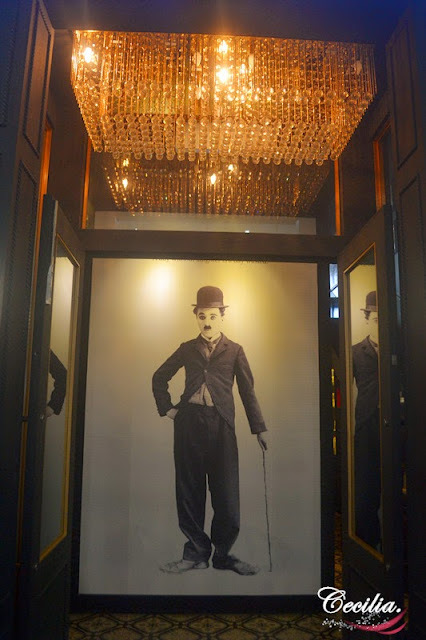 Once you reach the door, you will see a large poster of Charlie Chaplin's most memorable on-screen character to welcome all diners. 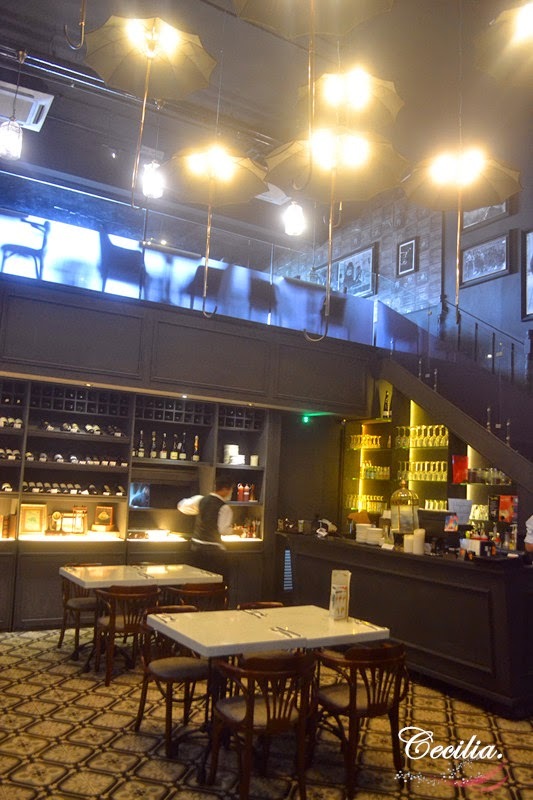 The cafe mainly in the black and white colour tones comes with the sheer exuberance furniture. They are using the marble tables and wooden chairs with old fashion kerosene lamp to outstanding their cafe. 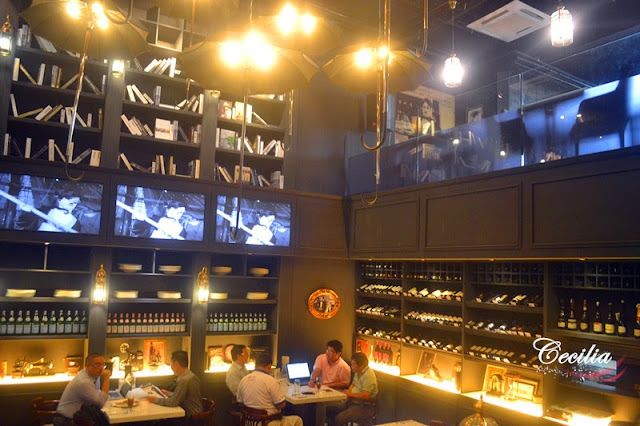 The interior is flamboyant weaved in vintage and modern styles with high ceiling. The ceiling-to-floor built in shelves filled with wine bottles, books and dining wares. 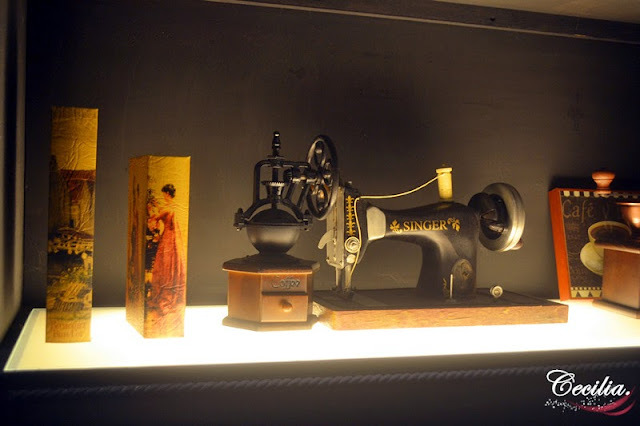 The oldest sewing machine which used by hand. 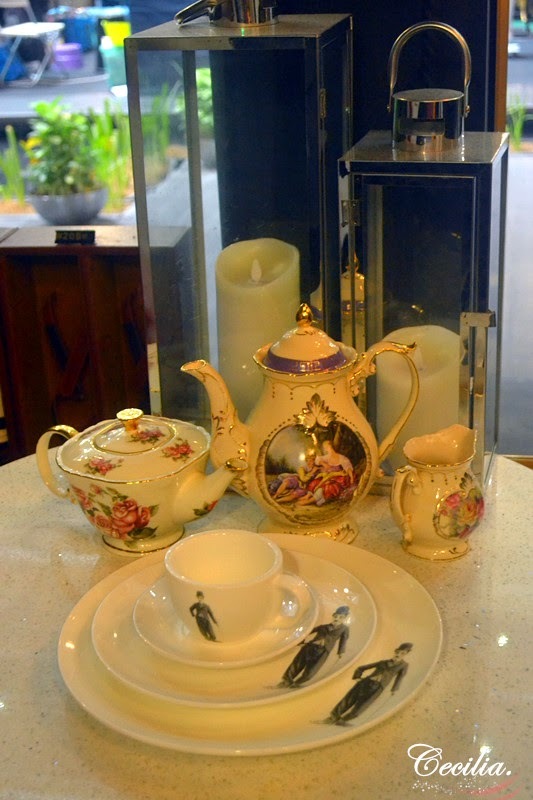 The tableware is unique with Charlie Chaplin figure! You can walk up the staircase to the upstairs which allow you to overlook the magnificient environment in cafe. 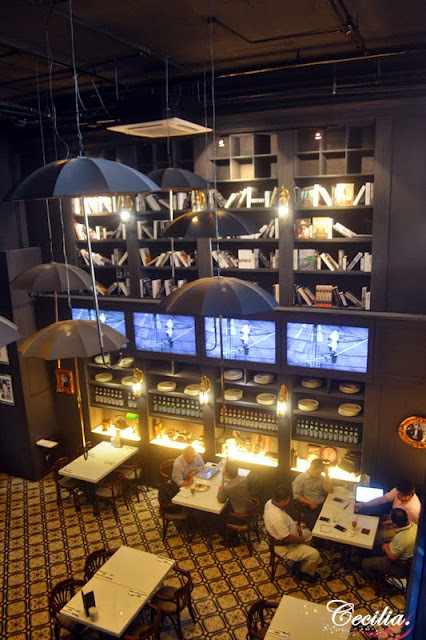 The umbrella hanging from ceilings with hue lights. 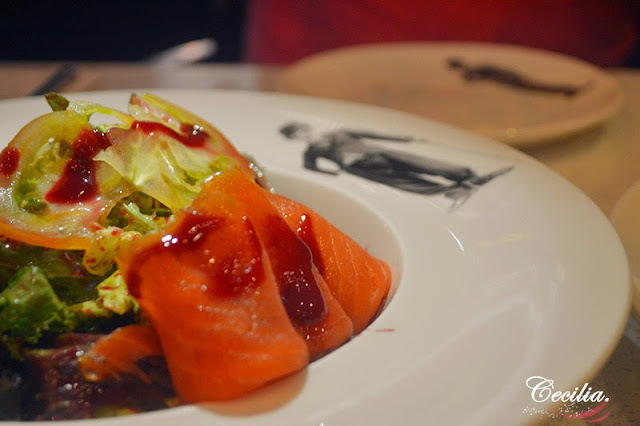 The fresh green leaves and smoked salmon sprinkled with homemade raspberry chilli dressing which look like bloody red is make the salad unique. 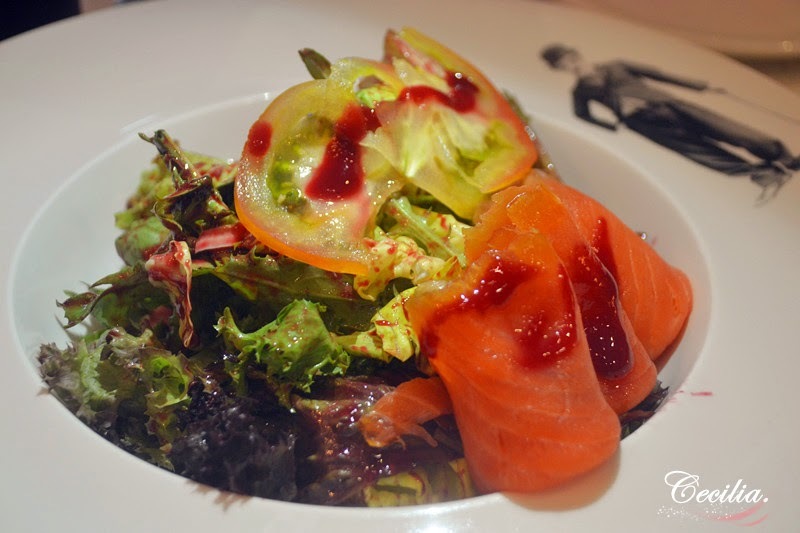 Besides, this is my first time seeing the raspberry used for salad dressing. 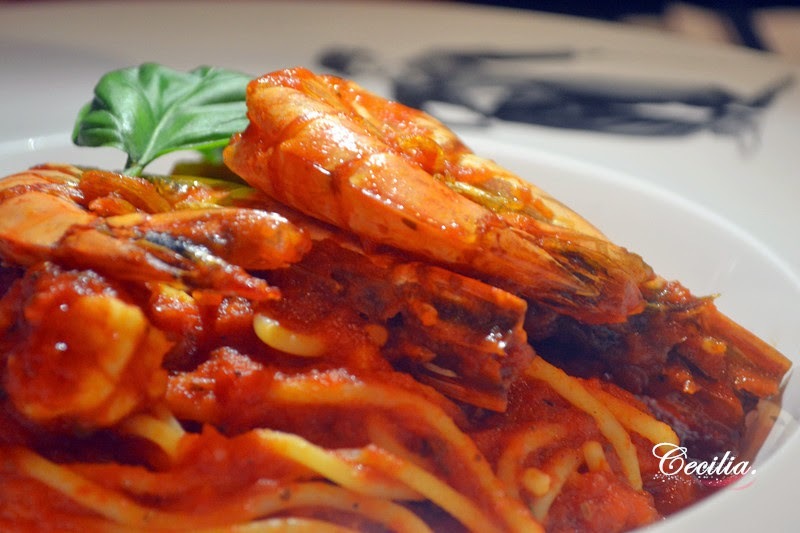 Seafood includes tiger prawn, clams and calamari cook with spaghetti in tomato sauce. It was appealing while there no any suprise in taste. 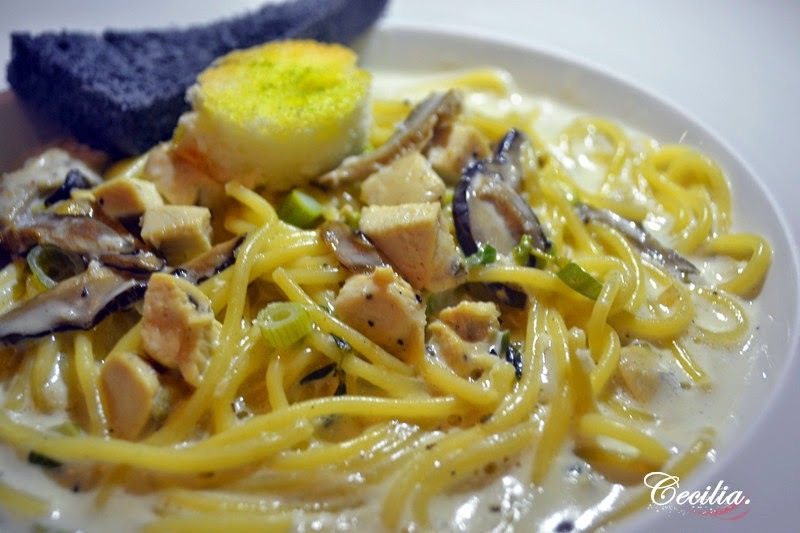 The pasta serve with cube chicken, mushroom infused in rich creamy sauce along with mixed herbs. 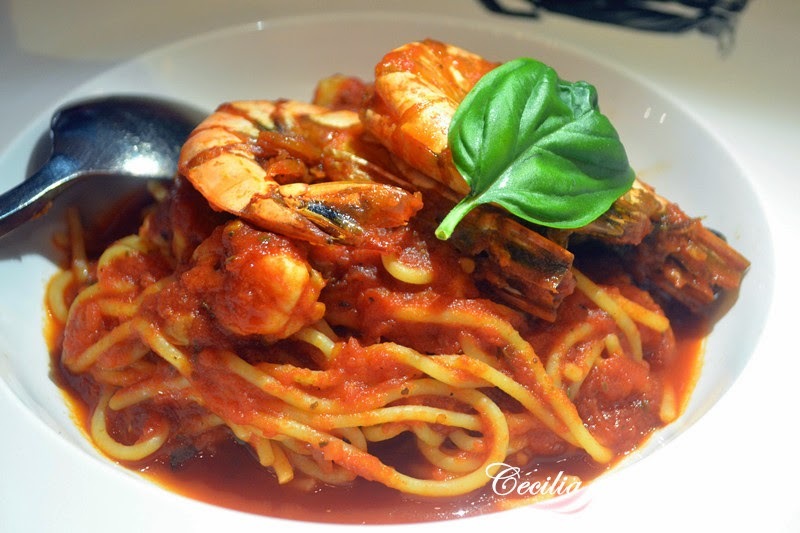 I like the creamy sauce which richer compare to Pasta Fruit on The Sea.